I attended the #GracoSafety event this week and was able to experience, for the first time, a stay at the Country Inns and Suites. I’ll have to admit, after staying I saw the brand name is now a misnomer! 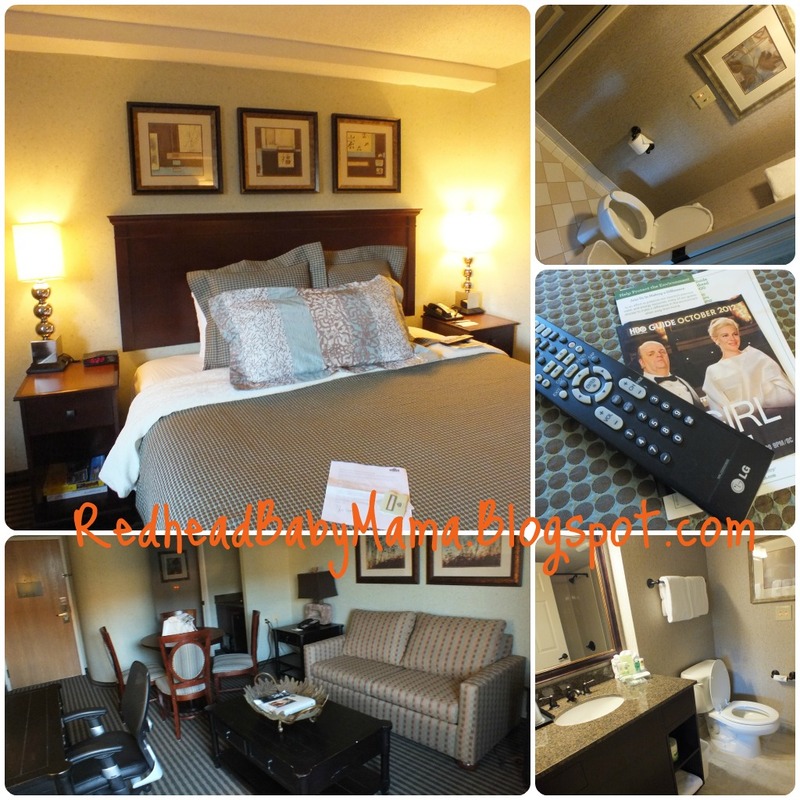 It was a very nice hotel with friendly staff, and lot of amenities! I was able to have a night to myself (WHAT?!) and left Hubs and Red at home. The best part of this suite was the 2 separate rooms, because when Hubs and I travel with Red, he sleeps better on his own – he tends to fall asleep by himself, and likes peace and quiet for that – easy when you can just close the door and watch your own TV, as well as use your own bathroom without walking on eggshells. I felt that the furnishings and linens weren’t “country” at all, but quality and extremely clean. Take a look at the brass fixtures! 🙂 Later on, I went down to the meeting room, graciously donated to the event. It was roomy enough for a large conference table, demo table and food spread, as well as electronically wired to stream PowerPoint and social media. You’ll be happy to know I tried out the 24 hour cookie bar stocked with fresh cookies (many varieties) as well as the 6-9am hot breakfast bar, which you can eat in the dining room, in your own room, or grab and go for families on the move. Nothing says helpful like that when you have to usher squirmy children on to the day! The beauty supplies were brand name Pantene, and all excess is gathered, sanitized and given to those that need them. Love that. After the meeting, I was able to enjoy the peace and quite in my personal climate controlled room with plush bed and my little gift pack. I thought for sure I’d bolt up in the morning, but it was one of the most restful night’s sleep I’ve had in a long time. I even slept in until 9! (which, for those with bitties, you know what a deal that is!) 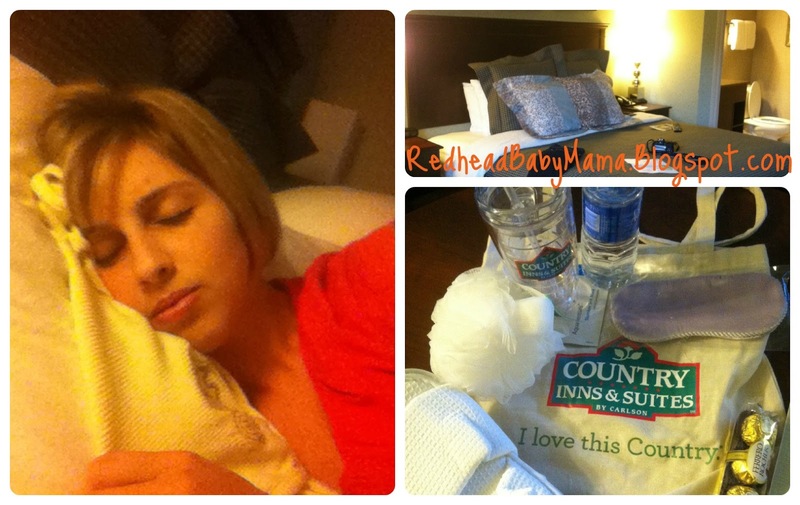 Thank you so much to Country Inns and Suites for a perfectly enjoyable experience, which I know my family will enjoy the next time we travel together! Disclaimer: I was given a suite to experience, but all my thoughts and words are very much my own. Marietta’s Winter Wonderland with Skating Rink!